In this class we'll teach you how to create a stunning European Garden -- a great addition for your home, party, or to give as a gift. In this class you'll learn how to craft a beautiful centerpiece for your home, party, or to give as a gift. Creating flower crowns is a fun activity together! We'll show you how to design and create your own flower crowns and how you can make them at home too! Each $50 ticket will admit 1 parent and 1 child, and will give you the supplies to design 2 flower crowns. Class begins at 11am, see you then! 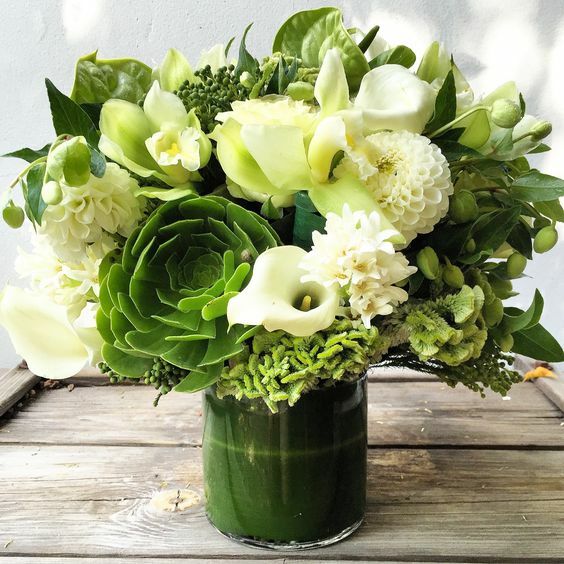 In honor of St. Patrick's Day, we'll design a fun and gorgeous arrangement with a focus on organic and premium green and white flowers. This will be a great piece to display in your home, at a St. Pat's party, or to give as a gift. This will be open house style, so come any time between 4pm-7pm and we'll help you create a fun and beautiful flower crown. As always we will use premium flowers, teach you basic flower crown design, have everything you need for the class, and provide some light bites and drinks. Doors open at 4pm, hope to see you! Arrgh, join us for a Gasparilla Centerpiece class! We'll create a Gasparilla-inspired centerpiece that will be a great addition to your party or to take as a host gift! 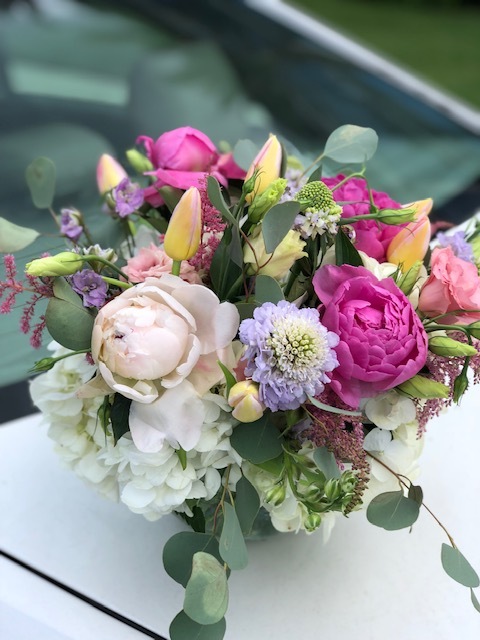 As always we will use premium flowers, teach you basic centerpiece floral design, have everything you need for the class, and provide some light bites and drinks. For this class we will be making holiday-inspired centerpieces that you can proudly display on your tablescape. For this class we will be creating a mantle-worthy arrangement, focusing on holiday greenery and in-season blooms. For this class we will be creating Thanksgiving centerpieces that will look stunning on your holiday table. For this class we will be focusing on the dahlia, making a gorgeous fall centerpiece, rich with dahlias. Click Purchase Tickets below to choose your class time. For these classes we will be focusing on fall blooms and gourds, making a beautiful fall cornucopia-inspired arrangement. For our April class we will be focusing on 1 specific flower: the HYDRANGEA! be making a beautiful mixed arrangement at the class! We're gonna teach you how to elevate and manipulate an arrangement with the use of metallic paint. 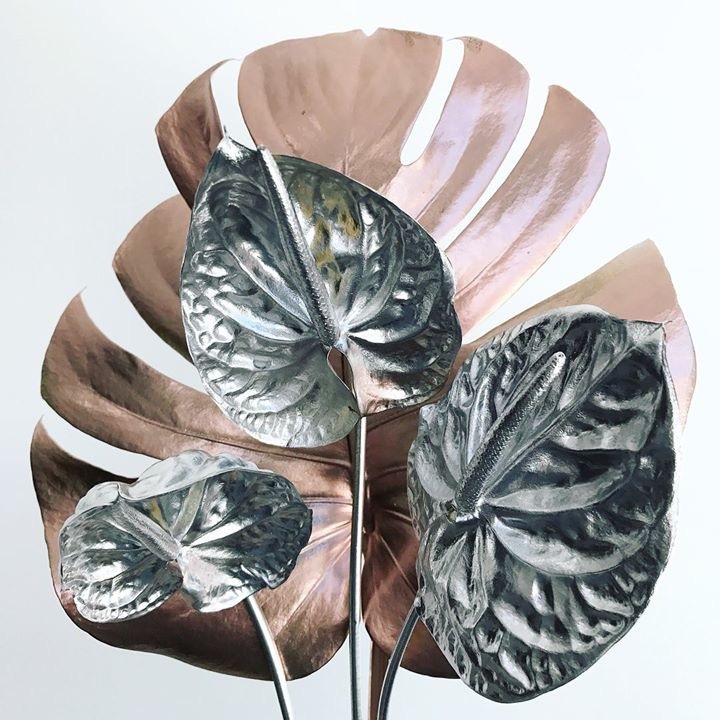 We'll be mixing fresh flowers, painted greenery, and succulents, and you'll learn what paints can be used, what plants you can and can't paint, and how to incorporate metallic with organic for a truly inspiring piece! We are now a vendor at the Hyde Park Fresh Market! Come visit our booth for Grab+Go bouquets, peonies (!!! ), and flower crowns. We'll be working with metal rings, christmas greenery, berries and floral to create a modern and beautiful holiday wreath. And obvi, complimentary champagne and snacks provided.